Qualcomm is all set to lift the covers from the company’s next flagship SoC, the Snapdragon 855, what we have known as the Snapdragon 8150 in the rumors phase, at an event in Hawaii later today. But hours before the official announcement, key details about the upcoming chipset’s specifications such as core architecture and capabilities have been leaked, thanks to a detailed article published by TechCrunch which was apparently under embargo and was not supposed to be out later today. As per the latest leak, Qualcomm’s next flagship SoC will be called the Snapdragon 855, and not Snapdragon 8150 which kept popping up in rumors and on benchmark platforms. 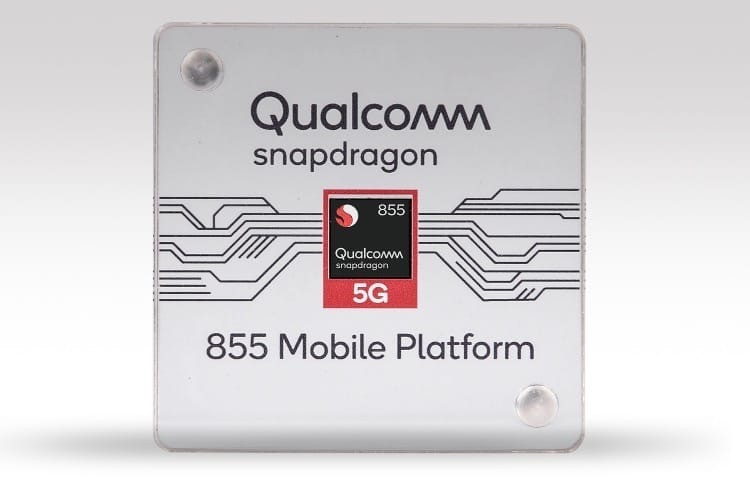 Starting with the specs, the Snapdragon 855 will be the ‘world’s first 5G multi-gigabit compatible mobile platform’. Talking about the core architecture, the Snapdragon 855 is an octa-core chipset that employs a tri-cluster design which consists of a single top-performance core clocked at 2.84 GHz, three high-power cores clocked at 2.42 GHz and a four efficiency cores with a clock speed of 1.78 GHz. However, details regarding the cores such as their Kryo Gold or Silver nomenclature weren’t confirmed by Qualcomm to TechCrunch. The Snapdragon 855 also introduces the Adreno 640 GPU powering the ‘Snapdragon Elite Gaming’, Qualcomm’s take on Huawei’s GPU Turbo mode which is basically a system optimization tool for improved resource allocation to provide a better gaming experience. 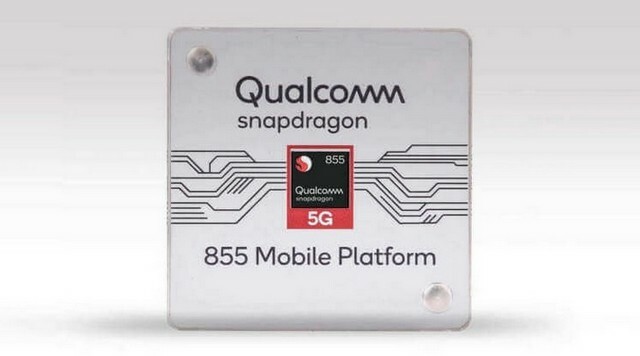 As for connectivity, the new Qualcomm SoC employs the Snapdragon X24 LTE modem as well as the Snapdragon X50 5G modem for 5G support. The article, which has now been pulled down, revealed that the new SoC is based on the 7nm process and has a dedicated NPU with a multicore AI engine that offers approximately 3x better performance when it comes to AI-based tasks such as AI scene detection and object recognition compared to its predecessor. Smartphones powered by the Snapdragon 855 SoC from brands such as Samsung, LG, HTC, OnePlus and Oppo are expected to arrive in the first half of 2019. Qualcomm is also expected to unveil the ‘Sonic 3D’ ultrasonic in-display fingerprint sensor at the company’s annual Tech Summit which kicks off later today. Qualcomm’s under-display fingerprint sensor will reportedly power the upcoming Galaxy S10‘s under-screen fingerprint method and is claimed to offer super-fast fingerprint recognition with high sensitivity, even when a screen protector is applied.